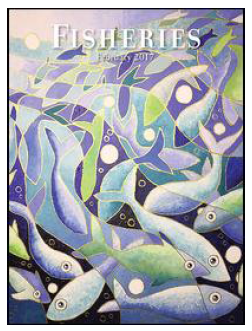 Several TBTI members, including Abigail J. Lynch, Steven J. Cooke and Andrew M. Song were part of the team that recently published a feature paper in Fisheries: 'Grand Challenges in the Management and Conservation of North American Inland Fishes and Fisheries'. The authors used a grand challenges approach to identify critical roadblocks whose removal would help solve important problems in the management and long-term conservation of North American inland fish and fisheries. They identified grand challenges within three themes (valuation, governance, and externalities) and 34 research needs and management actions. The major themes identified are to (1) raise awareness of diverse values associated with inland fish and fisheries, (2) govern inland fish and fisheries to satisfy multiple use and conservation objectives, and (3) ensure productive inland fisheries given nonfishing sector externalities.